As a long-time, die-hard San Francisco Giants fan — the Los Angeles Dodgers’ biggest rival — wanting to read a book about the nemesis team would seem unlikely and somewhat disingenuous, since I may be planning to “pretend” to read it and then seek to lambaste it, being a book about those evil LA Dodgers. But no, my thinking was, the Giants and Dodgers face each other many times over the course of the 162-game season and this book seemed like a great way to get know this team I watch a significant amount of the time from April to September each year. 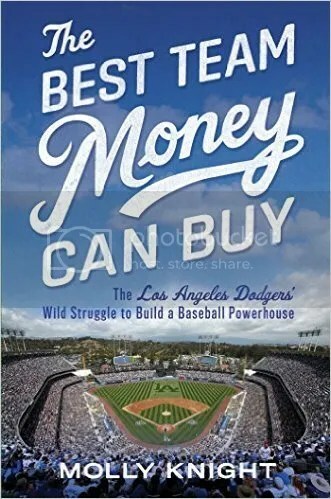 The Best Team Money Can Buy is a fascinating book about the Los Angeles Dodgers, not just as a sports team, but as a franchise and business. Molly Knight tells the fraught story of the Dodgers last few seasons, beginning with 2012 when owner Frank McCourt through an ongoing series of cost-cutting measures, gutted the team and brought the franchise to bankruptcy so he could line his pockets and make sure he and his wife had the best mansions to live in. Enter the Guggenheim group featuring iconic Magic Johnson and a few billionaires who snatched up the franchise before anyone else could as the highest bidder and then set out to win the team a World Series ring. The book opens with a fascinating interview between Molly Knight and multiple Cy Young Award winner and star starting pitcher, Clayton Kershaw. Just as they began the interview in his native Texas, Kershaw learned he had just gotten a new contract with the Dodgers for a record seven-year $215 million deal. But he still did the interview, even though his phone was vibrating nonstop. Knight then takes readers through the next two years, how the franchise acquired the many expensive players such as Matt Kemp, Adrian Gonzalez, Zack Greinke and one Yasiel Puig to name a few. The book is a captivating read as Knight isn’t setting out to show the Dodgers as this perfectly polished team where everyone gets along and all they do is play great baseball. She gives each player their back story, talking about where they grew up, how they came to be on the Dodgers, and how they then worked out for the team. It’s common sense that when you put a bunch of competitive millionaires together, some in the same position, tensions will flair. Knight doesn’t hold back in discussing this, but also the many good things the owners have done since the bankruptcy days to make the Los Angeles Dodgers the high achieving, highly-respected baseball team it has been known to be since it left New York. They want to be known as the Yankees of the West. But readers also see how the Dodgers got only so far in the postseasons of 2013 and 2014 before they were eliminated. Kershaw both times wasn’t able to be the ace he has come to be known for the team, and blames himself for letting the team down, and then how he picks himself up and tries again next year. It is a story of trying to get players who are paid millions of dollars whether they win or lose to want to work as a team and win. Kershaw has won a lot of awards in his short time as a major league pitcher, but it is the elusive World Series ring that he truly cares about adding to his trophy collection. To purchase a copy of The Best Team Money Can Buy from Amazon, and help support BookBanter, click HERE. March 5, 2015 March 1, 2015 bookbanter Nonfiction, Sports	#806, Football, Paul Simpson, Soccer, sports, Uli Hesse, Who Invented the Bicycle Kick? There are some books you need to have on your shelf, or coffee table, or at least near at hand for when you need those split-second answers to questions that can quickly lead to shouting matches and the end of friendships. Who Invented the Bicycle Kick is one of those books; in fact once you’re done with this review you should just go get yourself a copy. Whether you’re an occasional soccer watcher, or a full-on football fanatic, you often wonder when goalkeepers started wearing gloves, who has the weirdest superstitions before a game, why matches last 90 minutes, or who invented the bicycle kick? Paul Simpson, the launch editor for Four Four Two and Uli Hesse, a prevalent writer for ESPN FC, provide the answers and their research. In some cases – such as the eponymous question to the book – there isn’t a definitive answer, so the authors present the most likely candidates and theories. Whether you intend on reading the book cover to cover, or using the excellent table of contents or thorough index, your questions and wonderings on the subject of soccer will be quickly answered. Originally written on August 5, 2014 ©Alex C. Telander. 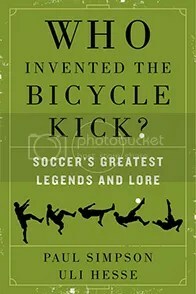 To purchase a copy of Who Invented the Bicycle Kick from Bookshop Santa Cruz, and help support BookBanter, click HERE. It is a place and time relatively unknown, shrouded in mystery. Some players spend a couple of years there, others spend almost or equal to a decade, and certain phenoms are there for the blink of an eye and then find themselves in the Major Leagues. The Minor League system of baseball is a complex well oiled machine whose one goal is not to win games for the team, but to make its players the best they can be. In Where Nobody Knows Your Name, bestselling author John Feinstein takes the reader on a tour of an area of baseball many know little-to-nothing about. As baseball fans, we all have our favorite players and learn of how quickly they made it through the minor leagues and got brought up to the majors to become the highly-paid skilled athletes they are today. Feinstein focuses on a number of specific minor league players, including a manager for the Tampa Bay Rays AAA minor league team, and even a minor league umpire. Some of these players are young guys drafted at a young age looking to get brought up to the big leagues real soon, only to have their hopes dashed and their confidence threatened. Others are former major leaguers still playing in the game that keep getting sent down and spending more time in the minor leagues. As for the lives of the coaches and umpires, much like the regular players, they also yearn for a chance to be brought up to the major leagues to do what they believe they do best. Feinstein doesn’t hold back on the details, showing the low pay for players, managers and even umpires that jump to shocking amounts once they spend some time in the major leagues. There are also stories of players being sent up and down, released and picked up by teams, and yo-yoed around the country as they go from minor league team to minor league team, just wanting a chance at the Show. The first two thirds of the book are filled with these gritty stories and fascinating details, though the reader can become a little lost at times with the sometimes long and sometimes short chapters on specific players that they may not remember or know too well from earlier chapters, and yet are just thrown into their life story again. Something that may have been easy for Feinstein to recognize may prove tricky for the average reader. 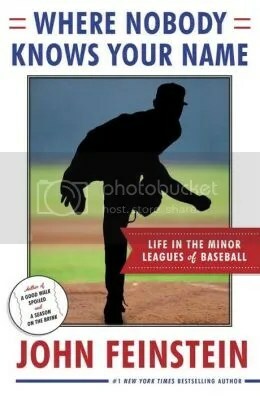 The final third of the book seems to present more calls ups and send downs and releases and pick-ups that the reader has already read about, which slows the book down considerably, but ends with a satisfying epilogue that brings all the players’, managers’ and umpire’s minor league stories to a satisfying end. To purchase a copy of Where Nobody Knows Your Name from Amazon, and help support BookBanter, click HERE. As only a recent fan of the San Francisco Giants, I know of the 2002 World Series defeat, Barry Bonds’ race to reach and beat Hank Aaron’s homerun record, and the young and magnificent arm of the 22 year-old pitcher Tim Lincecum. I know the names of the great Giants like Willie Mays, Willie McCovey, and Juan Marichal; but the period from the 1958 move of the New York Giants to San Francisco up to the end of the 1990s is a time I know little about. Thankfully 2008 is the fiftieth anniversary of the San Francisco Giants, and to commemorate it a beautiful book has been published, written by Brian Murphy (a host for the KNBR sports radio station), celebrating the fifty years of San Francisco baseball history with the Giants. 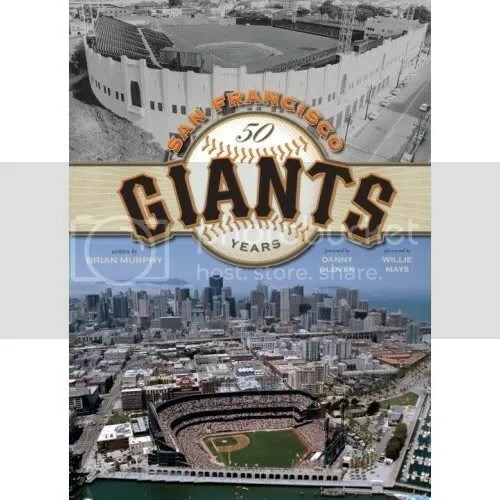 The cover of San Francisco Giants: 50 Years captures the book perfectly with a split picture: on the top is Seals stadium, formerly a place for minor league baseball; it was where the new San Francisco Giants played their first games; at the bottom is the breathtaking AT&T Park, where the Giants currently reside. A foreword from longtime fan Danny Glover takes the reader back to moments in Glover’s history as a little boy watching the greats play as Giants. Brian Murphy then sweeps you back to the first days of the New York Giants gracing the streets of the city by the bay as the new San Francisco Giants. Murphy uses a descriptive style that congers images in one’s mind of the history of this baseball team, not overloading the book with stats and numbers, but providing facts and details where necessary, informing the reader of the many great strides the Giants have made, as well as the crucial times they came within reaching distance of the World Series ring: in 1962 against the New York Yankees, in 1989 against the Oakland Athletics, and in 2002 against the Los Angeles Angels of Anaheim. Brian Murphy takes the readers through the many high points of the San Francisco Giants history, as well as the many low points. There is the miraculous story of the pitcher Dave Dravecky, a star for the team until a tumor was found in his pitching arm, who after surgery and recovery returned to pitch one of his best games ever. In the following game, he snapped his humerus bone, and eventually had to have his arm amputated. The story of the great Bobby Bonds, as his son hung around the clubhouse and watched his father and godfather, Willie Mays. The career of Barry Bonds who came to the Giants in 1993 and spent the next fourteen years smashing records and creating news goals for future players to reach. And hints at possible future greats for the San Francisco Giants like Matt Cain and Tim Lincecum, who pitched in the 2008 All Star Game at Yankee Stadium. The book ends with a superb finish: an afterword from the great Willie Mays, as he recounts some of his memories as a Giant. San Francisco Giants: 50 Years is a treasure for any sort of fan of the Giants bursting with photos, booklets featuring team photos and opening day lineups for all fifty years, along with an audio CD recounting fifty years of play-by-play highlights. It is a book that will never spend long on the shelf, as readers will keep picking it up again and again, whether to look up a detail of history, check on a team member or stat, or simply to look at some of the greatest players the world of baseball has ever known. Originally written on July 26th 2008 ©Alex C. Telander. March 10, 2010 bookbanter Anthology, Nonfiction, Sports	#242, Cecil Kuhne, Gipsy Moth, Kon-Tiki, Near Death on the High Seas, Sir Francis Chichester, Thor Heyerdahl, William F. Buckley Jr. The sense of adventure is a facet of humanity, and while some choose to ignore it, others indulge in it: dabbling with the dangerous, playing with the portentous, and facing one’s fears. Near Death on the High Seas is a collection of real life stories about people who strive for thrill and adventure, through the medium they love: a boat and the open sea. Beginning with an inspiring foreword from the late William F. Buckley Jr., the first story begins simply about a man and his boat; having traveled the seas many times over, he is a skilled seamen but on this particular day there’s a storm that will give him a run for his money and leave his beloved boat in pieces, while he barely escapes with his life. Provocative, descriptive, and well-written, the important thing to remember is that each of these stories actually happened, and while at times they seem to copy each other, these are real lives being brought close to the edge here, and in some cases where not all the characters survive, real people have sadly died in these catastrophic events. Near Death on the High Seas also includes memorable and renowned high seas stories from Thor Heyerdahl on his Kon-Tiki traveling to Easter Island, as well as Sir Francis Chichester on his Gipsy Moth traveling around the world. 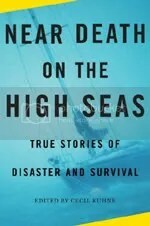 Near Death on the High Seas is a book that will take you across the icy cold seas of the world, through torrential storms and typhoons, as well as the horrors of the deeps; all from the comfort of the comfortable seat you choose to be sitting in at this moment. The key is to remember that while these are incredibly written stories of daring and destruction, they are stories about real people who faced these real dangers for the thrill to be on the water in a boat. Originally written on March 15th 2008 ©Alex C. Telander. The Ball is Round is possibly the most comprehensive and thorough book on the sport of football or soccer – depending on where you’re reading this from – ever compiled and written; weighing in at a smidge under a thousand pages, after reading it cover to cover you will be able to hold an argument with any well versed football hooligan on the planet, or have a discussion with any professional sportscaster. While David Goldblatt hasn’t much to his name, other than the Dorling Kindersley World Football Yearbook, The Ball is Round is an ideal book whether you consider yourself a soccer aficionado who knows everything there is to know, or whether you’re new to the sport and wish to satisfy a curiosity. Goldblatt begins at the beginning with a somewhat brief but complete history of soccer, due to the lack of evidence on the subject. While he doesn’t necessarily say one specific country was the sole creator of the international sport, he does indicate that England was the first to play the closest relation to the modern day version. Nevertheless, it is an interesting look back at the different cultures that used a type of ball for sport, such as in China, where it would be bounced off the trunks of trees, or a simplified version that was played in the Americas involving not just feet, but hands and all parts of the body. It is during the nineteenth century that football or soccer as we know came to be played and here Goldblatt outdoes him with the details of people, places and times, going up through the years and decades. Once passed the First World War, Goldblatt breaks it down even further, dividing the time periods by location, from Europe to Latin America to Africa. But the author doesn’t simply tell the complete history of soccer, but also relates to the importance of culture, economics, sociology, and anthropology. For a sport that has become so ingrained in so many societies for some time – for countries like Spain and Italy and South America where it is the lifeblood – Goldblatt goes beyond just the sport, but extending it as a metaphor for the world, the ultimate uniter. Twenty years in the making, Goldblatt traveled to many different places around the world for both research and inspiration. 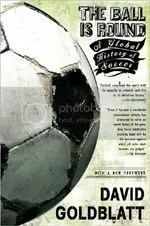 There is even a preface for the paperback edition where he discusses why soccer has not become as popular and prevalent a sport in the United States as it has in the rest of the world, explaining its completely different pacing, layout, and scoring system as opposed to the major American sports like baseball, football, and basketball. The Ball is Round literally has something for everyone, and with a thorough list of contents and index, along with some interesting photos, it’s also the ideal reference manual. Originally written on February 16th 2008 ©Alex C. Telander.